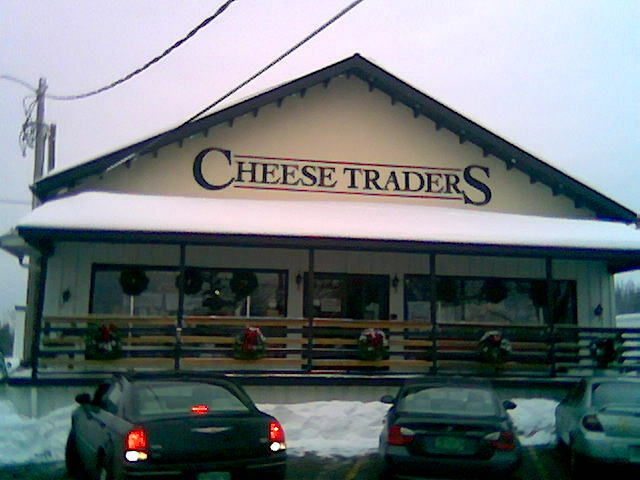 Once every couple of months I like to make my way over to Cheese Traders on Williston road in South Burlington Vermont. They have a tremendous selection of often inexpensive cheese, and a huge wine room down stairs, as well as many interesting snacks or cooking items. 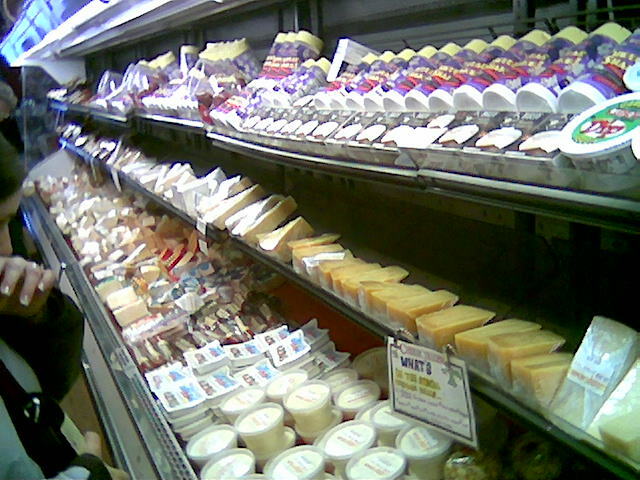 Cheese Traders – Cheese Shelf, this is about 1/2 the selection of cheese they have, at the end of the row, there is a sample counter where you usually can sample 4 cheeses or sauces that they’re selling that day. For lunch I grabbed half a loaf of fresh, slightly crusty (when I go back I’ll get the name of the bakery) wonderful bread. 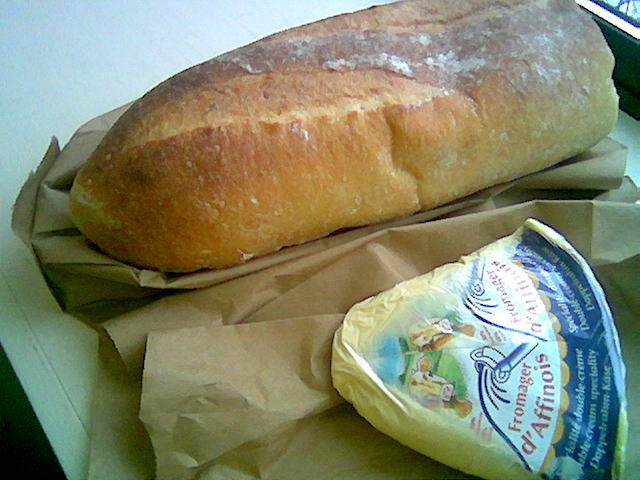 I also grabbed some fromage d affinois Brie, there is a nice write-up here about the cheese. I learned something new about Brie when looking up this cheese online, there are three main varieties: Brie, double cream Brie, triple cream (Brillat Savarin) Brie. These three classifications, refer to the cream content of the cheese, nice write-up about it here. The fromage d affinois was a little rich for my taste, I think I prefer single cream Brie. The bread was excellent I tore off hunks to spread the Brie on, and the rest of the bread was good the next day in the toaster. Both the bread and cheese came to under $6, and there was plenty left over for the next day(s).